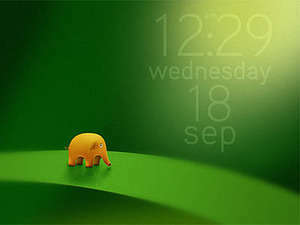 The Dexclock application was developed to be a free wallpaper clock client for Windows. Wallpaper Clocks are desktop backgrounds for your PC with a real-time working clock blended into the artwork. You can use this tool in order to enhance your desktop with beautiful images and to have information about the current time at hand. For security reasons, you should also check out the Dexclock download at LO4D.com which includes virus and malware tests. Additional screenshots of this application download may be available, too.